Israel is a majority Jewish state located between the Red Sea and eastern Mediterranean, separating the Arabic speaking world in two geographic regions. Approximately the size of New Jersey, its maritime exclusive economic zone (EEZ) is larger than the state itself. According to an assessment from the Tel Aviv-based Institute for National Security Studies (INSS), maritime trade accounts for 99 percent of Israeli foreign trade. Furthermore, 70 percent of Israel’s population lives on the narrow coastal plain between the West Bank and the Mediterranean. 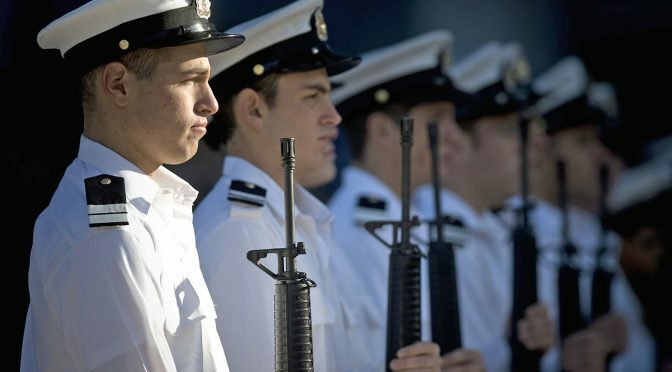 This piece aims to provide an overview of the Israeli Navy and the maritime dimension of Israel’s national security. Israel’s southern coast is approximately 10 miles in width, leaving the Israeli Navy (IN) a limited region of operations, comparable to Iraq’s maritime border. The southern Red Sea port of Eilat is Israel’s direct maritime access route to the Indian Ocean and the markets of southern and southeast Asia. In the Red Sea, the IN protects sea lines of communication in the narrow waters between Egypt, Jordan, Saudi Arabia, and onward. Israel’s western coastline on the Mediterranean is approximately 110 miles in length. The primary facilities of Israel’s Mediterranean fleet are in the ports of Ashdod (north of the Gaza Strip), Haifa (south of Lebanon), a small presence of patrol ships in Herzliya, and a center for Israel’s Navy Seals equivalent, Shayetet 13, in Atalit. The IN is primarily a coastal defense force tasked with protecting Israeli shores from seaborne threats originating in the Gaza strip, Egypt, Jordan, and Lebanon. Israel maintains local maritime superiority against conventional threats and has developed capabilities to combat a variety of asymmetrical threats. Despite this, the IN is capable of performing outside of the Red Sea and eastern Mediterranean. IN corvettes and submarines are known to venture into the Indian ocean to counter threats from Iran and the western Mediterranean to address issues related to North Africa. The IN maintains a robust modernization program. While the Israel Defense Forces (IDF) generally receives the bulk of its military hardware from the U.S., its naval procurements are diverse, including acquisitions from ThyssenKrupp Marine Systems (TKMS) (Howaldtswerke-Deutsche Werft), Aérospatiale, Constructions Mécaniques de Normandie, as well as domestic suppliers such as Israel Aerospace Industries (IAI), Rafael, and DSIT. Active procurement programs include four Sa’ar 6 corvettes (set to begin arriving mid-2019), six Dolphin–class submarines, the Barak 8 missile system, the C-dome, unmanned sea vehicles (USV), eight SH-60F Seahawk helicopters, and Unmanned Aerial Vehicles (UAVs). To assist with territorial water (TTW) defense, Israeli companies have developed innovative technological solutions. Such solutions include the implementation of the sonar-based AquaShield Defense System. Designed to prevent sea infiltration, the IN has deployed the AquaShield sonar system near Gaza and the Lebanese maritime borders. This underwater sensor detects potentially hostile underwater movement. The system can reportedly detect an Open Circuit Diver (SCUBA) at a distance of up to 1000 meters and a Closed Circuit Diver (re-breather) at a distance of 700 meters. The IN is a leader in sea-based missile defense with programs designed to combat short range rocket projectiles and shorter range ballistic missiles. Strategic planning concerns Hezbollah in Lebanon and Gaza based organizations including Hamas, Islamic Jihad, as well as other regional terrorist entities. The IN ballistic missile defense apparatus is evolving to combine a Very Short Range Air Defense (VSHORADs) systems, the such as the Counter Rocket, Artillery, and Mortar (C-RAM) C-Dome and Barak 1, as well as a Long-Range Surface-to-Air Missile (LR-SAM) platform, the Barak 8. Israel is incorporating multilayer maritime anti-ballistic systems in a similar fashion to its three well-known land based systems Iron Dome, David’s Sling, and the Arrow system. The development of anti-missile systems is a high priority for the IN, which has recent memory of missile attacks on its ships. In 2006 Hezbollah successfully attacked the INS Hanit with a Yakhnot (S-800) anti-ship missile, nearly capsizing the ship. In 1967 the Egyptian Navy sunk the INS Eilat using a P-15 Termit anti-ship missile in the first incident of a vessel being sunk by an anti-ship missile fired in anger. In May 2016 the IN announced a successful launch of the C-Dome system. Designed by Rafael, the C-Dome is a maritime variant of the acclaimed Iron Dome anti-rocket and projectile system operated by Israel’s Air Force. In addition to C-Dome, the IN maintains the Barak 1 and Barak 8 systems. The Barak 1, which is to be phased out, has a reported range of 5-12 km while the joint Israeli-Indian developed Barak 8 has a reported range of approximately 70-100 km. Facilitating these platforms is the incorporation of the domestically produced iMulti-Function Surveillance, Track and Guidance Radar (MF-STAR) radar system, developed by Israel Aerospace Industries’ (IAI) Elta. A major component of the IN’s developing maritime strategy is offshore Oil platform (OPLAT) protection. 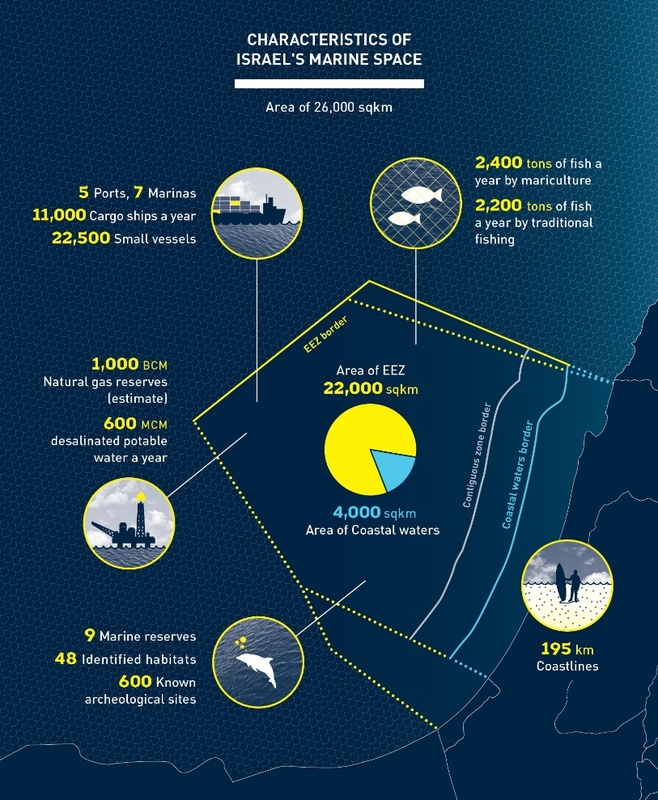 Since the discovery of natural gas in the Tamar and Leviathan fields off of Israel’s west coast, Israel has dedicated naval resources to OPLAT development and protection. To protect Israel’s Mediterranean shores, the IN has a fleet of patrol boats including the Shaldag class and Dvora Mark III. Additionally, Israel is using USVs, particularly the Rafael system’s Protector. USVs play a role in providing surveillance as well as dealing with asymmetric contingencies. Such scenarios include the use of a suicide-explosive rigged boat attack or waterborne improvised explosive devices (WBIED), rocket salvos, and the takeover of an oil platform by a terrorist entity. 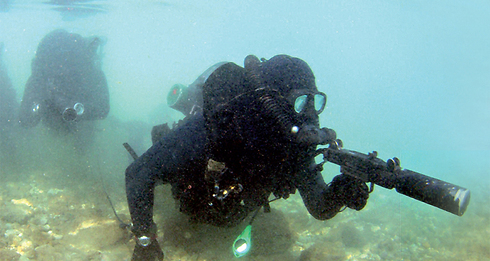 The IN is experienced in implementing sea denial strategies in times of conflict. The IN conducted a naval blockade on Lebanon during the 1982 war, Operation Peace for Galilee, where its submarines provided early warning information for blockading vessels. 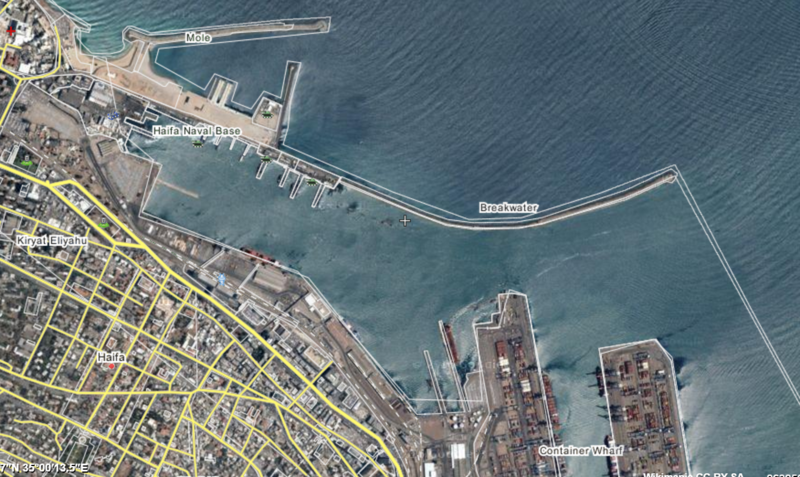 Israel’s navy enforced a blockade on Lebanese ports again during the 2006 Lebanon War. From 2007 until today the IN has enforced a blockade of the Gaza strip. The Gaza strip blockade is an effort to prevent the transfer of arms and building materials to the Hamas terrorist organization that is currently in control of Gaza. Patrols intermittently come into contact with fishermen from Gaza who have claimed that Israel enforces the maritime policy inconsistently. After a policy change in March 2016, the IN now permits Gaza fishermen to travel up to nine nautical miles from Gaza’s coastline. Most recently, Hamas attempted to form a naval commando unit. During the 2014 war with Hamas, Operation Cast Lead, Hamas commandos briefly stormed the Zikim beach north of the Gaza strip. In May 2015 Israel’s internal security service, Shin Bet, intercepted 40 dive suits hidden inside sport suits en route to the Gaza Strip. The IN has demonstrated its ability to operate successfully outside of its immediate coastal area including visit, board, search, and seizure (VBSS) missions. In 2014 IN commandos of Shayetet 13, a unit frequently compared to the U.S. Navy Seals, conducted Operation Full Disclosure, a VBSS mission targeting the Iranian “Klos C” sailing under a Panamanian flag en route from Iran to Port Sudan, 930 miles from Israeli waters. The ship’s cargo included several dozen M-302 missiles, reportedly of Syrian origin. The IDF Spokesman unit claimed the weapons were en route to Hamas. In the past decade the IN targeted shore-based threats in both Gaza and Lebanon and directly supported ground forces inside of enemy territory while conducting isolated attacks on enemy positions. The most recent display of sea-to-surface targeting was the targeting of Hamas positions in the Gaza Strip amidst Operation Cast Lead. During Operation Cast Lead, Israeli corvettes reportedly targeted militants in the Gaza strip with Gil or Spike-MR guided missiles. In 2006 the IN is said to have fired 2,500 rounds at Lebanese targets in the 2006 July-August Lebanese war. During the Second Lebanon War, Shayetet 13 raided an apartment block in Tyre, Lebanon believed to be a staging site for rockets being launched into Israel. During the summer 2006 war, the Israeli Navy bombarded Hezbollah positions, infrastructure, and access routes to the Lebanese coastline. In the 1982 conflict Operation Peace for Galilee the IN inserted IDF units behind enemy lines north of Palestinian Liberation Organization (PLO) – Syrian positions. It was during the 1982 war that the IN demonstrated its ability to conduct an amphibious assault that included troops, tanks, and other vehicles. The IN maintains a cyber defense unit known as MAMTAM (Information Systems, Processes, and Computerization unit). MAMTAM maintains three separate branches: cyber, technology, and operations and industry. According to an officer from MAMTAM, the unit deals with IT and IP networks. The Israeli Navy experienced attempts to breach its cyber networks during Operation Protective Edge in 2014 against the Gaza based Hamas terrorist group. Additionally, the IN plans to incorporate modernized C4i (Command and Control, Communications, Computers and Intelligence) systems into its fleet, particularly with the expected arrival of Sa’ar 6 corvettes. The IN is suspected of possessing nuclear weapons, an accusation that has traditionally neither been confirmed nor denied by the Israeli government. 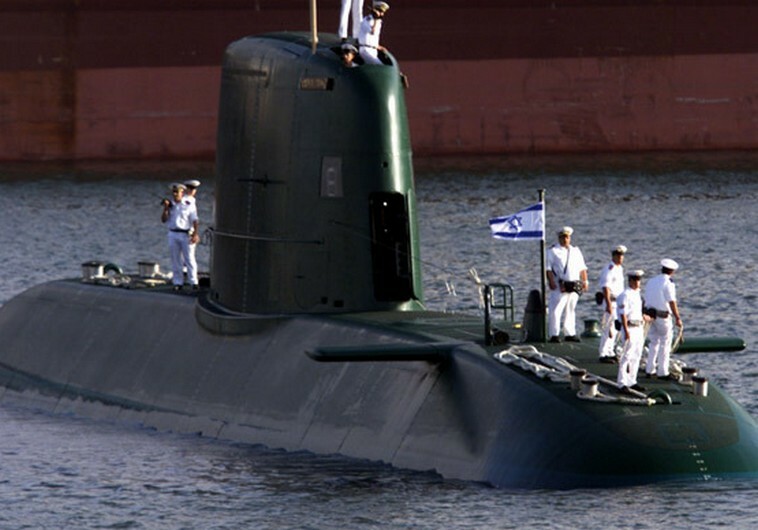 The Israeli submarine program is believed to incorporate second strike nuclear capabilities for strategic deterrence. In December 2015 Israel’s fifth Dolphin class submarine was delivered by Germany’ ThyssenKrupp Marine Systems (TKMS). Dolphin class submarines have reportedly been armed with submarine-launched cruise missiles (SLCMs). In the eastern Mediterranean, the U.S. Navy port call in Israel is among the most secure and productive for U.S. operations in the region. Haifa offers a friendly port south of Greece and Turkey and north of Djibouti. U.S. security assistance and coordination with Israel has only increased in the past decade. However, the IN is not able to publicly participate in U.S.-led operations such as Combined Joint Task Force – Operation Inherent Resolve (CJTF-OIR). Due to ongoing tensions with Arab and Muslim majority countries, the IN cannot conceivably participate in multinational regional operations, whether against ISIS in Iraq and Syria or the Saudi war with factions in Yemen. For similar political considerations, Israel was also not able to publicly participate in U.S. efforts during the Gulf War, Operation Desert Storm. Israel and the Palestinian Territories also fall under under the AOR of U.S. EUCOM rather than the seemingly more logical CENTCOM, where the majority of the Middle East falls. In addition to India, the U.S. plays a critical role in Israeli missile defense scenarios. EUCOM engages with Israel through its Strategic Cooperative Initiative. 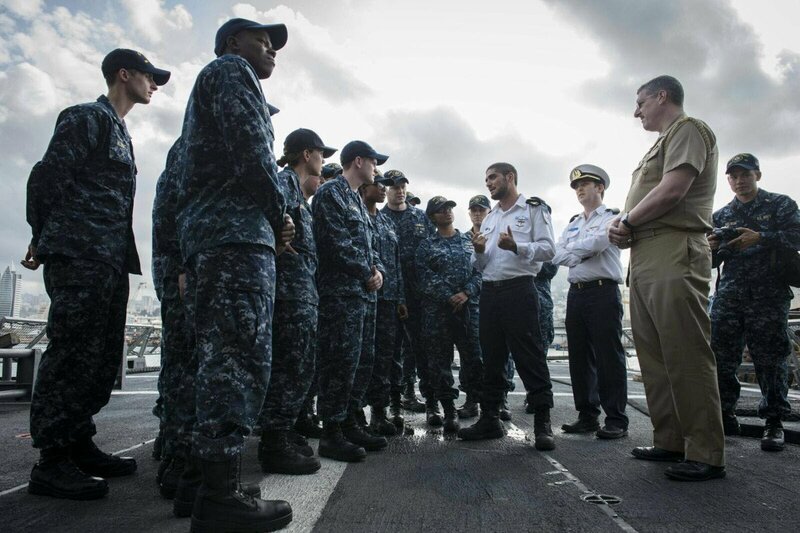 The USN participates in maritime Ballistic Missile Defense (BMD) patrols in cooperation with Israel and can deploy when requested to assist Israel with ballistic missile threats. Furthermore, U.S. Aegis platforms have supported bi-annual U.S.-Israel wargames dubbed “Juniper Cobra.” Finally, EUCOM supports Missile Defense Agency test events in coordination with Israel. Israel is a small country, with a total land area approximately the size of New Jersey. The active duty navy is estimated at 10,000 mostly conscripted personnel, a force significantly smaller than that of many U.S. Navy bases. Few existing Navies are tasked with similar challenges to those of the IN in a comparable amount of surface space. While its landmass is limited, the maritime sphere allows Israel to gain some form of strategic depth. This is particularly important when the country is less than 11 miles wide at specific locations and has fought conventional and asymmetric wars throughout its existence. Guido Weiss is an Operations Specialist (OS) in the Navy Reserve and works as a researcher on security and military issues in Iraq. He holds an M.A. in Islamic and Middle Eastern Studies from the Hebrew University of Jerusalem. The views expressed here are of Guido’s alone and do not represent the U.S. Navy or any other organization of the U.S. government.